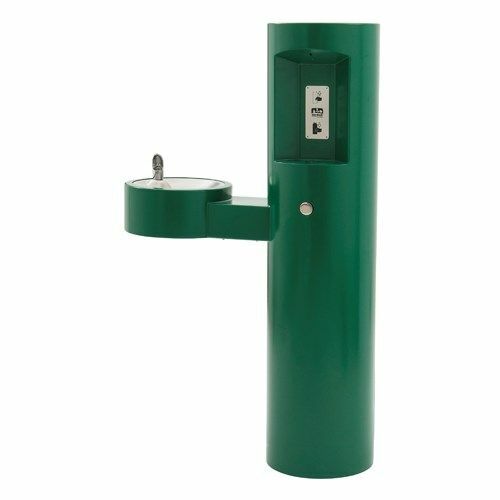 Water bottle filling units offer a convenient solution for refilling drinking water bottles in schools and public spaces. Using refillable water bottles saves natural resources, money and waste. 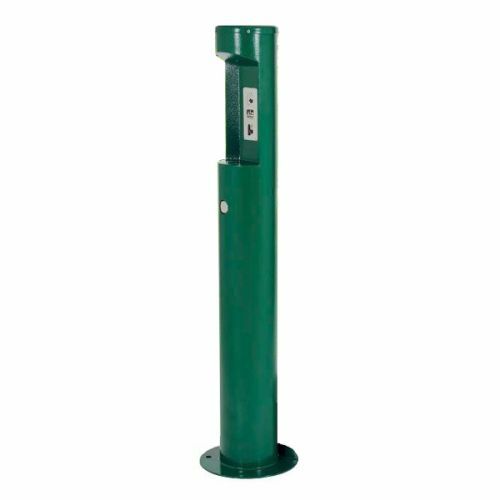 Wall and floor mounted bottle filling stations help promote good hydration levels and offer a simple solution to refill bottles in a safe and hygienic way. 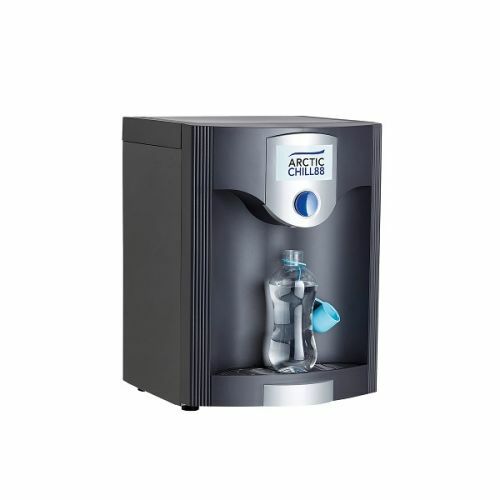 Bringing in bottled water from many miles away wastes natural resources and perpetuates the use of fossil fuels and landfill sites to dispose of the waste bottles. 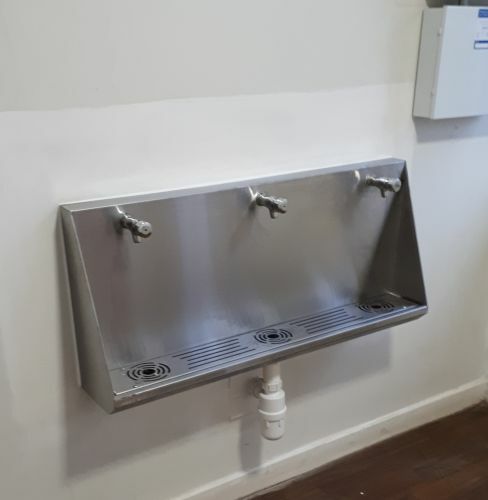 Wall hung combination drinking fountain and bottle filler. 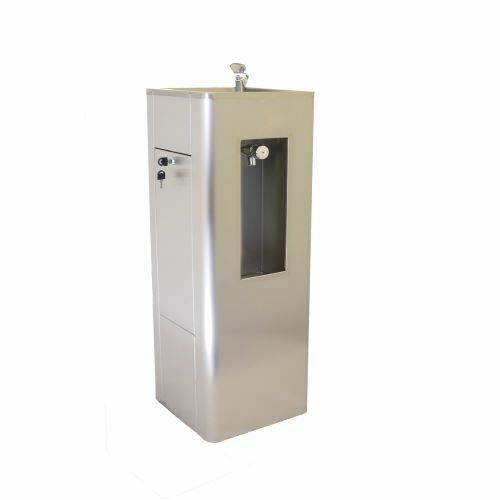 WRAS approved bubbler and swan neck bottle filler. 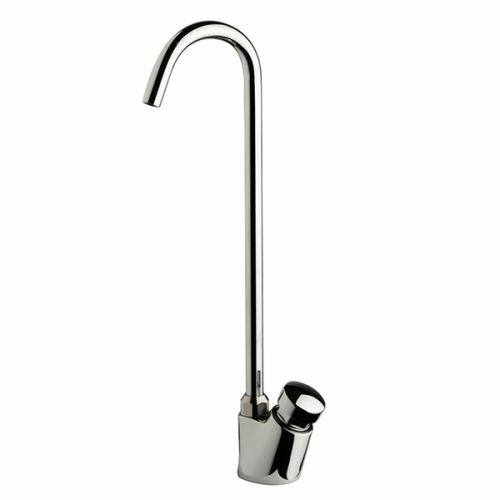 Recessed bottle filler suitable for filling even the largest re-useable water bottles. 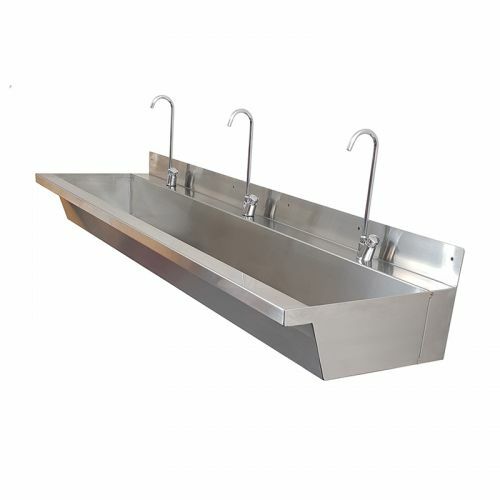 Stainless steel wall mounted bottle filling fountain with WRAS approved swan neck filling spout, waste fitting and wall bracket. 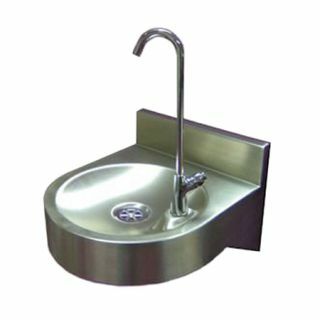 Stainless steel wall mounted bottle and cup filling fountain with WRAS approved filling spout, undershroud, waste and wall bracket. 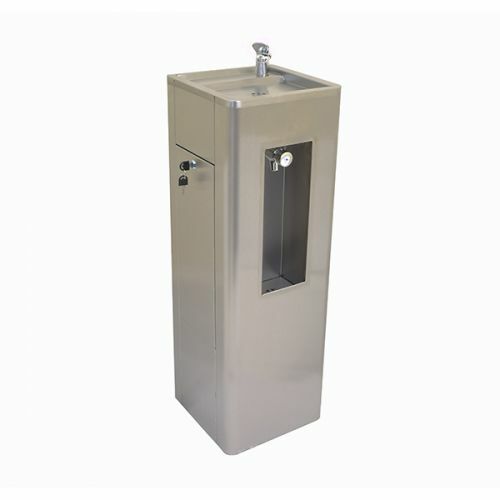 Floorstanding combined drinking fountain and bottle filling station - stainless steel. 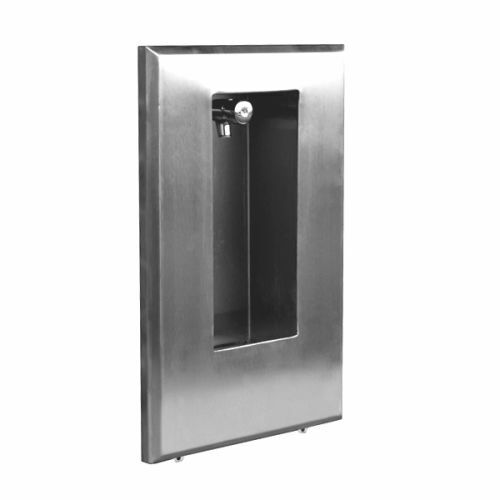 Junior floorstanding combined drinking fountain with bottle filling station. 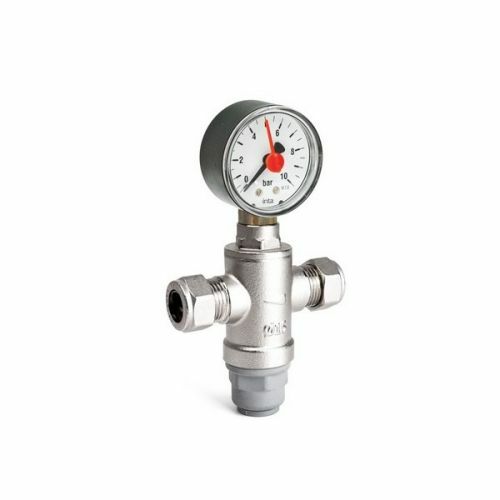 Multiple swan neck bottle filling valves mounted on stainless steel trough with waste fitting. Hydration and how much fluid we should be drinking is a much debated subject within the scientific community. When discussing ‘water’ it is usually understood that they mean nutrient water, which comes from both food and fluids. This obviously includes drinking water. Poor hydration levels can lead to tiredness, headaches and poor concentration. Studies in schools have shown increased levels of awareness in pupils with access to water. The human body is almost two thirds water so proper hydration is very important to stay healthy. 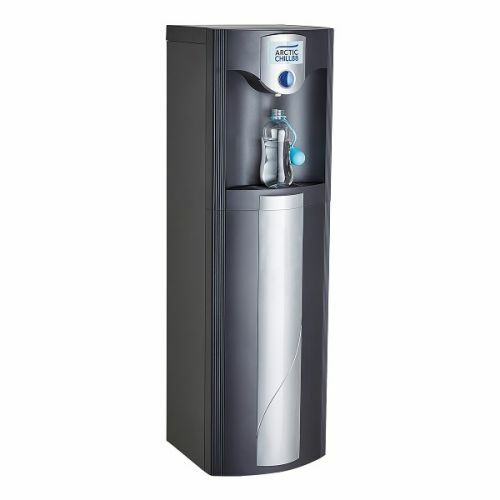 Individual water and fluid requirements can vary greatly. On a daily basis many factors can affect your need for water including age, size, gender, physical activity and climate. A good calculator for water intake requirements can be found at on the Hydration 4 Health website. Water intake calculator. With water being the largest component of your body proper hydration is vital for your ongoing health and performance. Scientists agree that regular intake of water is required to maintain water balance and that water is an essential nutrient required for health. The European Food Safety Authority (EFSA) recommends a daily water consumption of 2.5 litres for average males and 2.0 litres for average women, this can be achieved via food and drink sources. 70-80% of the daily intake of water should come from drinks, and the remaining 20-30% should come from food. The British Nutrition Foundation gives guidelines on the benefits and downsides of different fluids, and water is the one they recommend as a great choice because it contains no sugar, additives or calories. Fluid intake information. Despite large media campaigns research still shows we do not drink enough water.